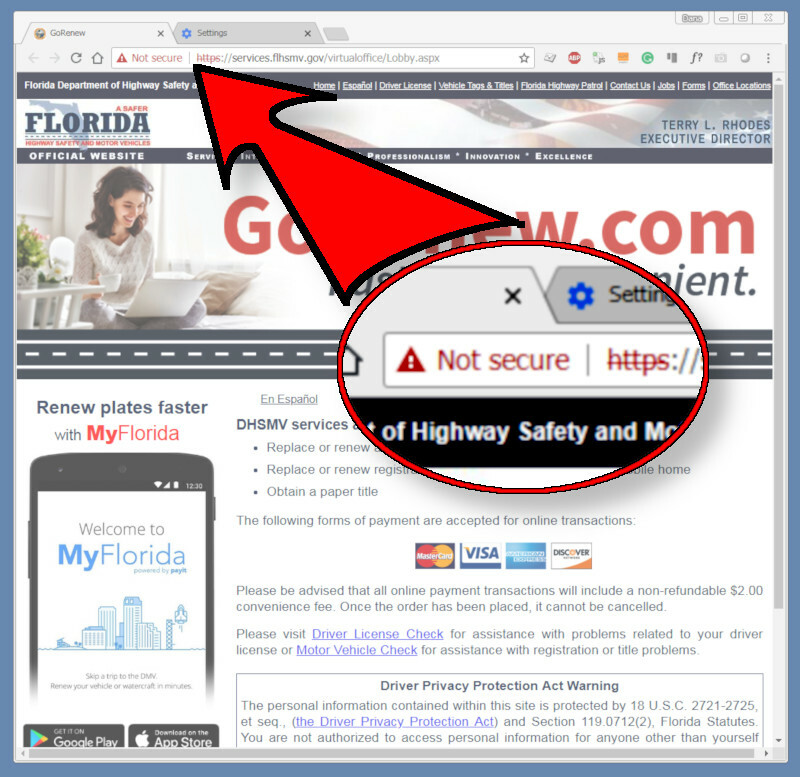 No, Florida’s HSMV website is likely safe, but there is a problem with their SSL Certificate. We’ve been warning our clients about a change coming to Chrome that would display this scary message for more than a year. These days almost all websites should have a valid SSL Certificate. You should look for this warning and pay careful attention when you see it.